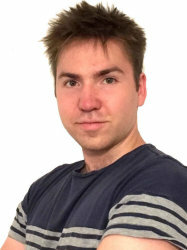 Oscar Savolainen received his undergraduate degree in Electronic and Electrical Engineering from the University of Strathclyde in 2018, graduating with 1st class honors. During his undergraduate he focused mainly on Digital Signal Processing and Power Engineering. For his final year project he designed a world-class automated rice seed classifier to reduce a bottleneck in the rice production industry, based on Machine Vision and Learning techniques. In his 3rd and 4th years he was a recipient of the IET Power Academy scholarship. In October 2018 he joined the Next Generation Neural Interfaces research group as a PhD student taking part in the ENGINI project. His main PhD focus is on the design of microelectronic circuits for the on-chip identification of interesting neural-recording channels.